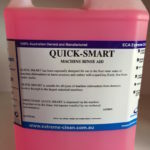 QUICK-SMART has been especially designed for use in the final rinse water of machine dishwashers to leave crockery and cutlery with a sparkling finish, free from water marks. 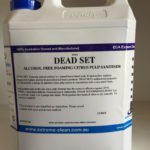 DEAD SET – Foaming natural sanitizer is a natural based hand, body & hard surface sanitiser designed to replace alcohol & petrochemical based products. DEAD SET’s antibacterial properties are afforded by a unique & patented citrus pulp extract in conjunction with a corn starch foam. 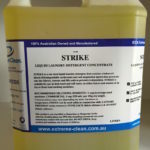 STRIKE is a one shot liquid laundry detergent that contains a balanced blend of biodegradable surfactants and soil suspension agents that penetrate into the fabrics, loosens and lifts soils to prevent re-deposition. STRIKE is suitable for use in both hard and soft water, in either hot or cold washes or in top or front load washing machines. Heavy duty cleaner for the removal of grease and oil on most surfaces. Ideally suited to food preparation areas and garage floors. A concentrated blend of anionic and non-ionic surfactants designed for cleaning floors, walls and other hard surfaces. NO-PROB is suitable for use on a wide variety of surfaces such as tiles, terrazzo, target, linoleum, rubber and vinyl. NO-PROB may be mixed with hypochlorite and phenolic solutions prior to use for combined cleaning and disinfecting operations in hospitals. 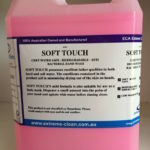 SOFT TOUCH possesses excellent lather qualities in both hard and soft water. The emollients contained in the product aid in minimising drying out the skin on hands. 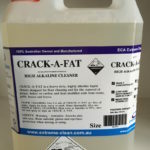 CRACK-A-FAT is a heavy duty, highly alkaline liquid cleaner designed for floor cleaning and for the removal of grease, baked on carbon and heat modified soils from ovens, grills, hoods and fryers. 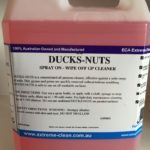 DUCKS-NUTS is a concentrated all purpose cleaner, effective against a wide range of soils. Dirt, grease and grime are quickly removed without tedious scrubbing DUCK-NUTS is safe to use on all washable surfaces. FAIR DINKUM is a highly concentrated general purpose detergent designed for economy & speedy results when washing heavily greased wares, walls & floors. FAIR DINKUM is mild on sensitive skin because the product incorporates skin softeners & protectants. 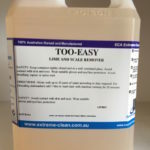 A heavy duty detergent/sanitiser for cleaning and degreasing hard surfaces. Effective in hard and soft water. 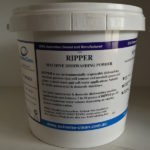 RIPPER is an environmentally responsible dishwashing machine powder that will remove and emulsify grease and grime in both hard and soft water applications. Suitable for both commercial and domestic machines. Antibacterial hand gel. Available in satchels. A viscous mobile solvent gel designed for graffiti removal from plastic and painted surfaces. Available in 5L & 20L tin. A neutral detergent specifically developed for cleaning tarkett and vinyl floors. 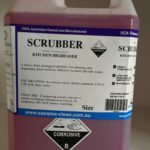 A liquid acid compound for cleaning and etching of aluminium prior to painting. Leaves a fine satin finish. 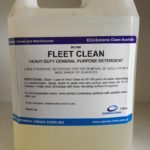 A highly concentrated degreaser suitable for all heavy duty degreasing operations, particularly earthmoving and transport equipment. Available in 5L & 20L tin. 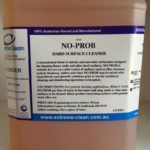 Powerful non caustic cleaner for kitchen filters and grease removal applications. 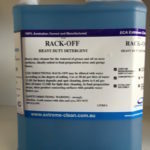 A concentrated sanitiser for food preparation areas. An improved cleaner, sanitiser, deodoriser with excellent fragrance retention. Heavy duty acidic detergent for the removal of calcium and rust stains. Acidic bactericidal toilet and urinal cleaner. Safe to use on stainless steel. Automatically dispensed into dishwasher to provide excellent cleaning of dishes and cutlery at economical concentrations.